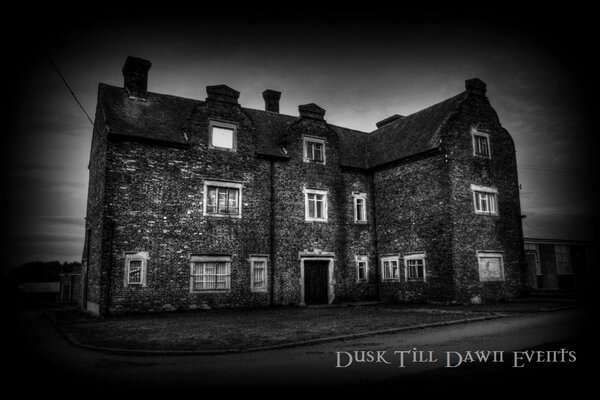 Join Dusk Till Dawn Events inside the very haunted Gresley Old Hall in Derbyshire, for a spooky ghost hunt. Gresley Old Hall, dating right back to 1664, is renowned to be reputedly haunted. The Hall is said to contain a plethora of paranormal activity from the many spectres, which are thought to still haunt this very atmospheric building. The Old Hall was built with material from the original old priory, which once stood on the same grounds in 1543, dating as far back to the 1100’s. Inside the property, an original, early 18th Century staircase can be found, along with different floor levels and a dark, intimidating attic, just perfect for a scary investigation. It is thought an array of spirits and ghosts still remain inside the walls of this property, however, various mediums that have visited have sensed the spirit of a female, thought to have been a maid who once worked at the old hall back in the Victorian era. To back these reports up a strange ghostly image was captured on camera in 2015; many believe that the image captured is that of the young girl. Many avid ghost hunters visit Gresley Old Hall to investigate this daunting location, time after time due to the amount of activity that is said to have been witnessed here. This really is a must see and do ghost hunt. This formidable building is not for the faint hearted, you will need wits about you as this scary, haunted location is certain to send shivers up your spine, from the very moment you enter its dark doors!